Tuesday was not a day of accomplishment. I’m frustrating myself, but it doesn’t help to sit around and whine, so I will try not to…no wait…I just WON’T do it!! 🙂 So there! I feel that overall I had another good food day. Breakfast was Chobani Lemon Greek Yogurt and Fiber One. I love that combination. I should switch up, just because I need to do that for success at Weight Watchers. Lunch was salad again with tofu. Very tasty. 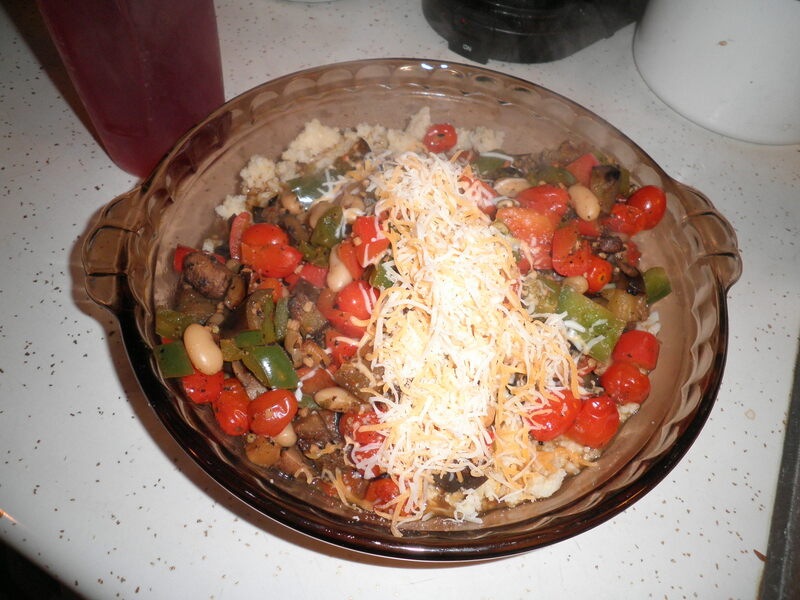 I added sunflower seeds and pumpkin seeds which seemed to make it more filling. I did get about 5 extra grams of protein from them and I enjoyed the crunchiness. 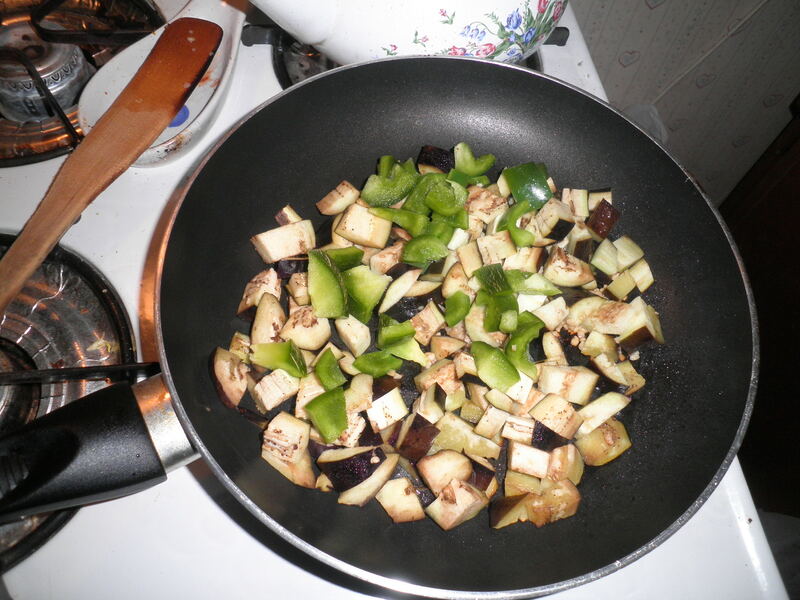 Dinner was a stir fry. Trying to finish up some of the produce I have and the millet. I’m still not sure about the millet. Guess I’ll have to try it again in a different form. Maybe an actual recipe would help! 😉 When I opened the container with the leftovers, it was hard as a rock! 😦 I had to pry it out of there. I mashed it down to spread it out and as usual, I microwaved it for a bit before I put the stir fry over it, and it softened up some then. 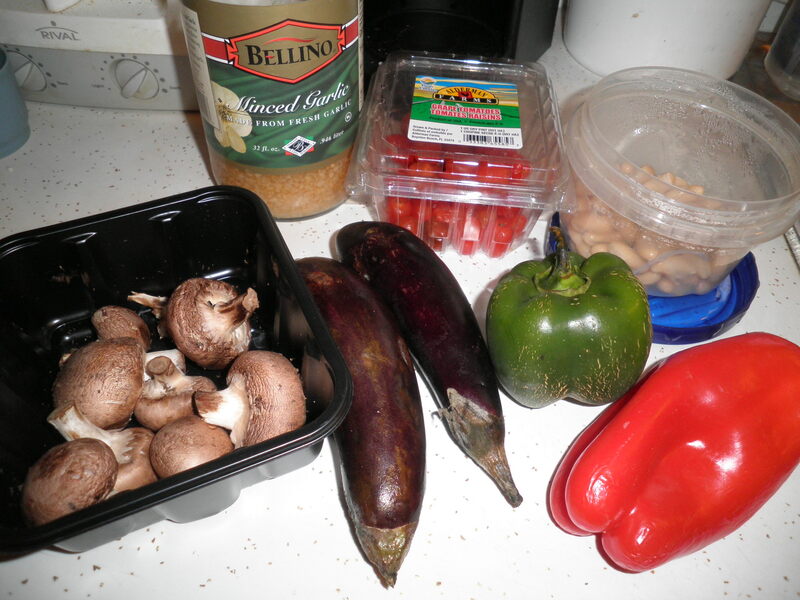 Baby eggplant (which didn’t hold up as well as previous batches), last of some sad mushrooms and sadder grape tomatoes, green and red bell peppers, leftover cannellini beans (that I originally thought were moldy, then realized it was the reflection from the blue lid…duh…) and garlic. It all turned into this! It was very tasty. I did have a little trouble with snacking last night. I had clementines, which aren’t a problem. Very late I had a snacking urge. I ate some saltines, which are easy to count on WW so I’m not too annoyed with myself, but I wish I hadn’t waisted the points on them. I am happy that for the second night in a row I exercised at night! Not formal exercise, but during Glee I marched in place for about 20 minutes. 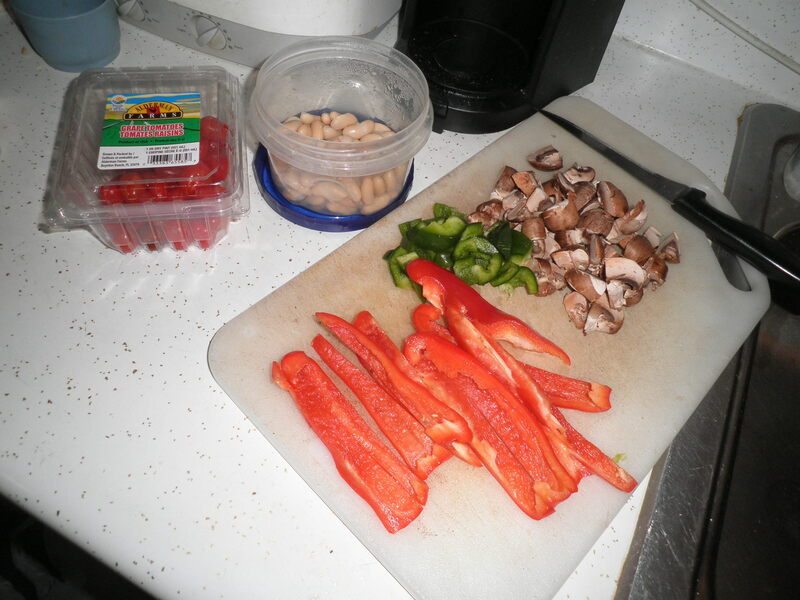 Basically, I do all the steps that Leslie Sansone uses in the Walk Away the Pounds videos, just in my own combinations. They’re simple steps, but I do feel my heart rate going up when I’m doing it. Doing it while watching Glee was even better, because the music made me work a little harder. I feel good that I’ve done that. I’m going to try to keep it up. My meditation practice was good yesterday also and I was even able to fit in some last night. I liked that. It made me feel good and I am going keep working at making that part of my routine as well. I guess whether I know it or not, I am getting a routine here. I think I like it! This entry was posted in Uncategorized and tagged exercise, meditation, Weight Watchers, yogurt. Bookmark the permalink.